We hope to see you in Montreal! The IFA Research and Publication Committee has invited a number of experts to write an introduction to a topic with references to help explore the topic. The authors are strongly encouraged to cover important work from other researchers as well as their own. Each note represents the opinion of the writer, and is not intended to represent the views of the IFA, its boards or its membership as a whole. Click here to access the list of available notes or use the "Research Notes" menu item above. Read more on the format of the notes below. 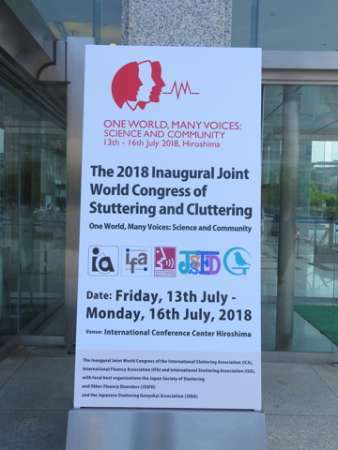 It is a goal of the IFA to improve clinical services to people who stutter through more opportunities for clinicians to receive specialized training in how to conduct stuttering therapy. With the Global Workshop Initiative, the IFA would like to reach out to those (fluency) clinicians who might not normally be able to access international conferences or workshops designed to provide or improve clinicians’ skills in helping to treat people who stutter. There is a special focus on underserved regions and developing countries. The International Association of Logopedics and Phoniatrics announces that abstract submission for the IALP 2019 is now open! The IFA acknowledges that stuttering may be accompanied by social anxiety. However, we have not endorsed any policy statement requiring a standard screening for social anxiety disorders. Moreover, it has no intention to support any change in the current ICD/DSM nomenclature for the most typical presentation of fluency disorder, childhood onset fluency disorder (stuttering). The IFA is pleased to announce the availability of the Proceedings of the Fourth World Congress of Fluency Disorders. IFA members have access to over 500 pages and 80 articles, fully searchable and linked to a table of contents. Read more: Full Text of Fourth World Congress Proceedings Now Available! Read more: Why become a member of the IFA?